This is open to everyone, all countries. Be sure you are a follower of my little blog. Leave me some love here in the comments. Entries will close on the 25th of Oct (1 month from now). That's about it, I hope you like my RAK, I think it is pretty sweet! Wow what an amazing rak I love following your blog your creations are awesome! Love all your projects and really an amazing blog candy. Wow...Thanks so much for such an awesome Giveaway! You are too kind! People would have to be insane not to love your blog candy Stacey! It is very generous. Can't wait to see your next project they are always stunning! This awesome Giveaway! Thanks for sharing your wonderful stuff with us, love it! That's really sweet candy! You're so generous! Hope I'll have a lucky ticket. Oh wow Stacey! Your pic of your blog candy looks just like your layouts! Beautiful and so much going on! Thanks for sharing your stash! Thank you thank you thank you for the chance to win such a blog candy! As for your work, nothing I will say will do justice to it!! I really love your projects,You are so talented!! Your colors are always beautiful! Wow this blog candy is wonderful! and thank you for sharing all your amazing projects with us! WOW.. I love your work so much!! And that blog-candy have all the colors that I love. Muchas gracias por tu generosidad al compartir este magnifico premio. WOOWOW!!! I CAN ONLY PRAY TO WIN SOMETHING LIKE THAT!!!!!!!! What a fabulous-fantastic giveaway!! Tahnks for teh chance to win some great goodies! hugS! WOW! that candy is to die for =) I´m now your follower... even though I have followed you for quite a long time allready ;). Love your work! You always inspire me to push my own limits. Wowza! What an amazing giveaway! I absolutely love all of your stunning creations, you are sooo inspiring. Hola, me encanta tus trabajos son suaves y romanticos, junto con tu familia es un blog encantador, si me gustaria poder tener este presioso regalo, solo Dios lo decidira. Love your art, I look at your blog in the morning while getting ready for work and it always inspires me. The blog candy looks awesome. Awesome blog candy ! Always a big fan of your style Stacey! Wow, what a gorgeous eye candy :) Thank you for the chance. I've been a follower of your gorgeous blog for a while...your creations are simply stunning!!! What a beautiful give away. Thanks for the chance to win. how very generous of you Stacy! Thanks for a chance to win!!! Your art is such an inspiration! Your family is beautiful! Scrapping is so fun because of our kids, isn't it? Your candy is fabulous. Thanks for the opportunity to win. I love it your blog, is fabulous. Thanks you for this candy. How can you part with this gorgeous array of product??? But if you insist, I would certainly love to win it. Your work is amazing and I often turn to your blog for inspiration. Or just to ogle over. wow what a great give away, are you sur you want to give all that stash away? As you know i adore your pages, they are truly inspiring. And you have made me use flowers on my boy pages. This is very generous of you, not only do you share your wonderful talents you are sharing the goodies you use to create them with.. someone will be very lucky!! Your candy is the right bar. Thank you for the amazing candy. I love your blog! Conheci o seu blog e vi que seus trabalhos são bonitos!!! Parabéns!!! Obrigada por compartilhar conosco esse doce maravilhoso. Coloquei na barra lateral direcionando para o seu blog. Minhas amigas já são seguidoras suas também. Wow! I dont know which item in this giveaway I love the most, but I will tell you, the colors in here are what my dreams are made of! Your Rak Rocks! Wow,what a lovely candy. I just love your blog, your work, I told you so many times. Hugs from Poland. Great candy! Thanks for the chance. Amei seu maravilhoso doce, obrigada por partilhar. Beijo, fique com Deus, Saúde e Paz. 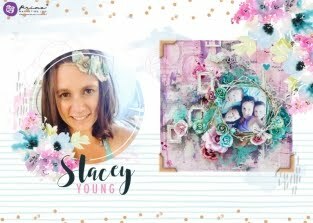 Gorgeous blog Stacey am a regular visitor, you are so talented! New follower! I am just blown away by your work! Beautiful, beautiful, beautiful!! Какая прелесть..разрешите приходить к вам почаще..Записываюсь на конфетку. muchas gracias por este detalle tan precioso! tus trabajos son maravillosos! Stacey, thanks for the chance to win! Such an amazing candy you are giving away. Wow Stacey. That is so awesome! Very generous of you. Thanks for sharing your work, it is truely inspiring. JUST KNOW THIS BLOG AND ALREADY'M FOLLOWING. SIMPLICITY AND ITS MAKING A DIFFERENCE IN THEIR WORK. WANT TO WIN THIS CANDY AND I WILL BE VERY HAPPY!! Hi Stacey, it's a wonderful candy. I love your's works and your style. I love your style, I'm always here with an eye on their talent! Stacey, thanks for a chance! Your blog and works are absolutelly amazing! oh my gosh, it's the mother lode of blog candy! Just found your awesome blog and can't wait to peruse back through the posts. Gorgeous site! Hola. Muchas gracias por compartir este candy. Tus creaciones son increíbles, son preciosas. 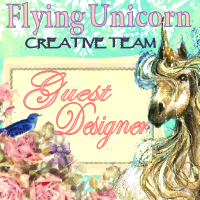 Hi!, I have loved your style since the fist time I saw your gorgous flower filled layouts! I'm an official follower now. Thought I already was! :) Love your work. Amazed by it. And what yummy blog candy! I'm an official follower now. I'm your "old" follower- loooove your works! Wow, this candy looks like all your stunning layouts Stacey! I love your work!! Conheci o seu blog através da amiga Edilza e vi que seus trabalhos são bonitos!!! Parabéns!!! Obrigada por compartilhar conosco esse doce maravilhoso. Stacey you are the biggest inspiration in the world! YOu have given me the courage to use COLOR! I mean a year ago the only colors i worked with were black, white, and red Lol! I have learned so much from you, and can't wait to learn more! you rock sweetie! 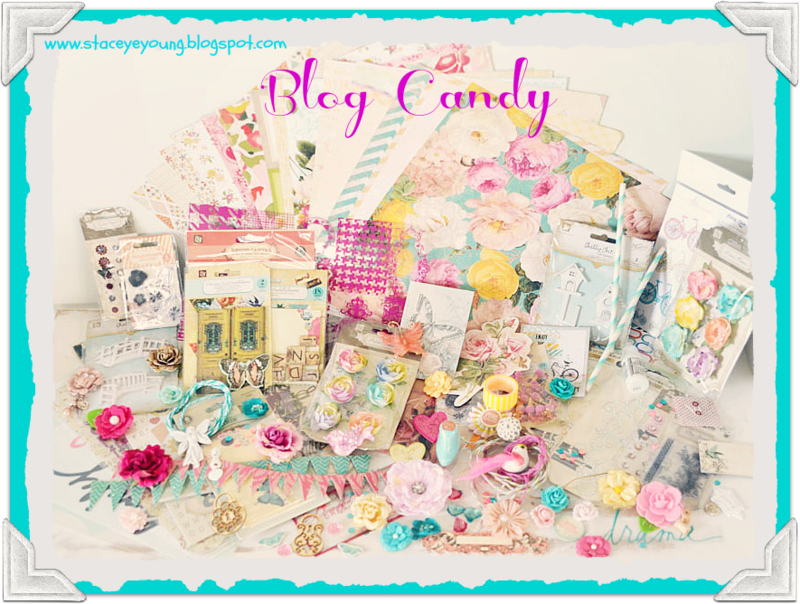 Your blog candy giveaway is so very generous and I'm sure you'll have hundreds enter. Thx for the opp to win. Cheers and hope all is great in your part of the world!!!! Wow! Amazing candy:) I just love all your work and you´re such an inspiration for me who love working with flowers and have a boy too:) I´m now a offical follower;) And I will share this with my friends! Big Hugs from Ulrika "LillBlomman" from Sweden! So sweet! Your lay outs and the blog candy! Oh...eu seria a pessoa mais sortuda do mundo dos blogs se ganhar seu doce!!! Que rico!!! WOW! WOW! WOW!That giveaway is nothing short of "dreamy"and "sweet"! I found you ages ago through Kate and LOVE your work- such and individually unique style. Plus your kids are just adorable!!! Hi! Happy to become a reader. Very rich sweet. In the left pane of my blog link to the candy. Come for a visit. http://swedkarswet.blogspot.com/ You have wonderful sons! I have a daughter and a son, and I love them, too - this is my life. я Ваш новый читаталь, с удовольствием присоединяюсь:)) Конфета потрясающая и ООООчень щедрая!! Just been admiring your work on the Prima blog, it's just beautiful!! I am now a follower :) and what an awesome prize! Thanks for the chance to win. I love your work and love looking at your blog. Your boys are awesomely handsome! Scrapbooking is a wonderful way to treasure all that they do, because believe me, they grow tooooo fast!!!!! Son preciosos y muy dulces tus trabajos!!!!! El gran premio demuestra también una gran generosidad! Just love your works! sweet candy! Gracias por compartir este dulce! Your work is so nice i just came here often to see your project and i have a nice surprice wow a super blog candy!!!! Thanks your are so generous!! Great blog candy & amazing creations! WOW! i im following you om this fantastic blog! super candy! I love your work very fantastically. Your colors are always beautiful!! Wow, what an amazing giveaway, so many gorgeous products to be won, thank you for the opportunity!!! I absolutely adore your work, it is so inspiring and colourful and happy! It always makes me want to scrapbook!!! Wow!! What a gorgeous & super generous RAK. It's amazing! I love looking at your LO's & find myself staring for ages as you have so much detail. Love your creations! I have been following your blog for a few years and so far, no one has impressed me like you ! You have a unique style that is out of this world !!!!! I just found your blog, but I think I will visit it often! Your work is great! And the candy is so generous! Thanks for the opportunity to win it! спасибо за интересный блог и такое угощение! Beautiful! Thank you for a chance! Stacey whenever I am stuck for inspiration I come to you. Your pages just come together beautifully. WoW!!! Stacey you are so generous! My jaw dropped again but for a different reason this time..hehe I am sure that these goodies would love to visit me in Athens!!! LOL!! p.s. I'll put it in my sidebar!!! hi!!! congratulations for your blog. Sorry for my English because I'm from Spain. Your blog is very nice. Recently that I've discoverd the sracp and I enjoy it, for this reason I like all things that you do. Wow your blog candy is awesome... I've been following for quite some time now... love your layouts.... this giveaway would sure let me scrap just like you (or close enough). I recently found your blog and quickly clicked follow! You are so talented! Olá Sahan! Conheci seu seu blog atarvés do blog da amiga Solange Barreto. Gostei muito dos seus trabalhos e já estou te seguindo. Obrigada por compartilhar conosco este maravilhosos doce. Parabéns! Спасибо за возможность выиграть эту конфету!!! I visit your blog for the first time and it's very beautiful. Your candy is fabulous. WONDERFUL ! GREAT ! Thank you so much. je tente ma chance! Thank you! Magnifique je tente ma chance !! Wowwwwwwwwww! It's fabulous!!! thanks for your generosity! This present is of the size of your tremendous talent! Stacey, your candy is fabulous!! Who would not want to win this....? Thanks for the inspiration! I love finding new blogs like this!! Awesome prize you are offering too! 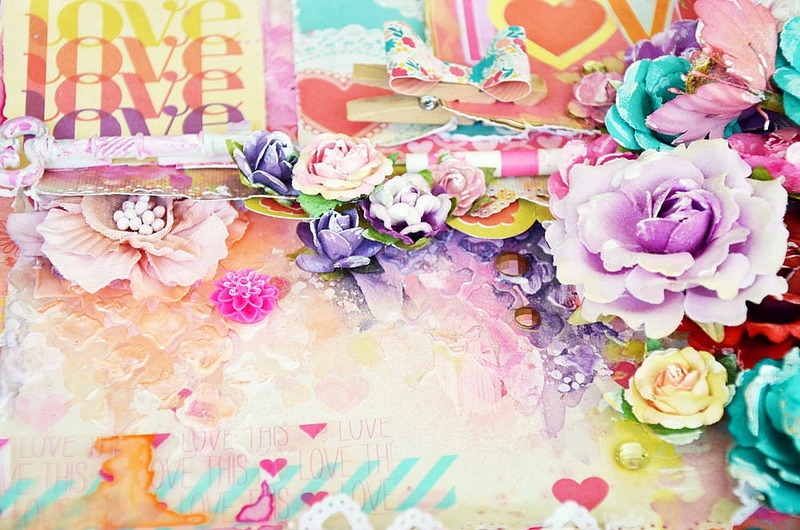 luuuvvveee your creative style of scrapbooking,and thanx for the chance to win a fabulous RAK! just seen this on your latest post.... how did i miss it???? I very want join. These very nice. Hi, Stacey, like your blog and your work, I am happy to participate in your raffle, congratulations! Hi ! I'm a follower and I admire your creations. I'd love to win this gorgeous candy, of course ! wow thanks for this beatiful giveway !! I am your new follower, thanks for the chance. OMG!! What an amazing giveaway!! I love the color combination! Thanks for th chance to win it!!! I am here for the first time . So now I am a folower. I don't have many thinks ,I am a beginner. Sorry for my Englisch . I am from The Netherlands buth live in Roemenie. I hope you wil visit my blog to. Hello, Stacey, nice to meet you. Thanks for the chance! Just found your beautiful blog. You have the most beautiful scrapbook pages I have ever seen. Such an inspiration to elegance. Thank you for hosting a delightful give away of such pretties. I will follow your blog with joy. So amazing and so generous! So happy to have found your beautiful blog! Oh wow, what an amazing array of candy - you are to kind! Love your work, it is always fresh and inspiring. Oh and your boys are to cute, I have a daughter and two boys. The boys are best mates but they are quite a pair together - lots of fun and mischief, something to look forward to as they get bigger.........LOL!! You´re not only uber talented but also so kind! Amazing blog candy! awesome giveaway, your creations are beautiful! gorgeous gorgeous giveaway! I am your new follower and thank you for the chance. What a fantastic giveaway. I'm already a follower - love your work, and how you make boy pages so lovely and soft. Sorry to read the kiddos are sick, that's never fun. Hope they're on the mend soon! Love,love,love your stuff, Stacey girl! Ciao, spero di essere ancora in tempo per partecipare!! Non conoscevo il tuo blog, ma ora ti seguirò molto volentieri! Stacey, td bem? Conheci seus trabalhos através do Pinterest. Fiquei encantada com suas obras de arte, uma mais linda que a outra. Parabéns!!!!!!!!!!! Bjim!!!!!!!!! !